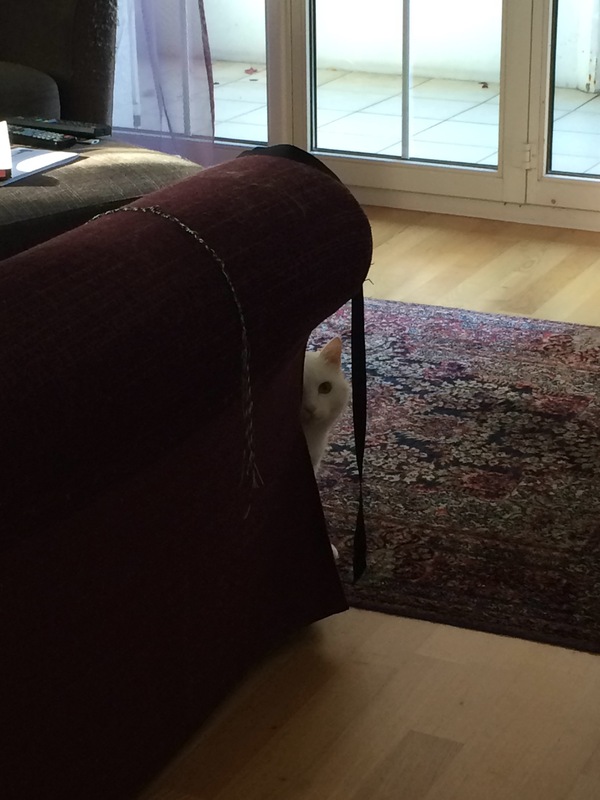 …you catch him spying on you from behind the sofa. It won’t be long, human. It won’t be long. …you wake up in the morning to find him staring at you, unblinking. 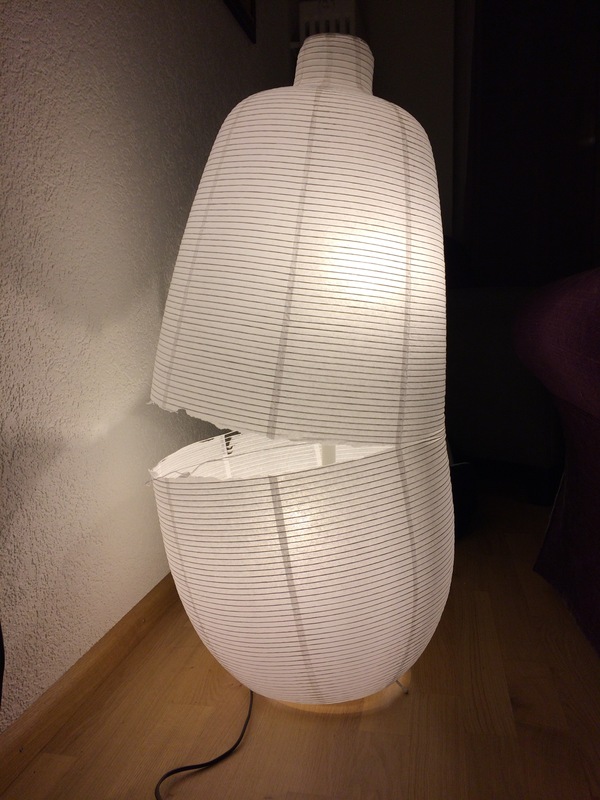 …he sends you a clear message by disemboweling the standing floor lamp. Insult: 1 /ın’sʌlt/ v.t. abuse scornfully; offend self-respect or modesty of. 2 /ın’sʌlt/ n. insulting remark or action. Ultimate insult: /’ʌltımǝt ın’sʌlt/ n. when you pet your sleeping cat, and he wakes up, lifts his head, and cleans the area where your hand touched his fur. 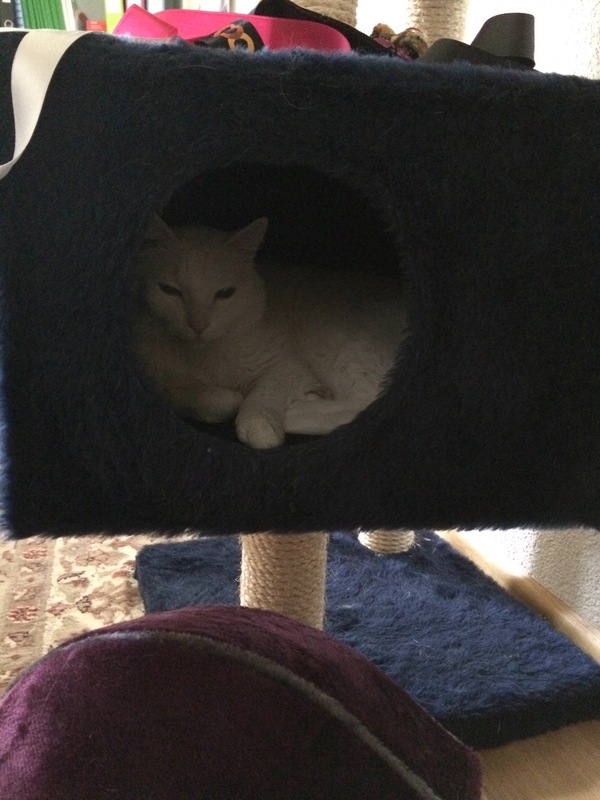 So, Muci had another bout of vomiting over the past weekend, and last night it was pretty bad – he was vomiting blood. My sleep was interrupted at various points throughout the night with sounds of him retching, and this morning, armed with a tub of wet lemony Swiffer cloths and a roll of kitchen towels, I went around the house hunting for pools of bloody saliva and mopping them up. Yet another trip to the vet was in order. It was as if he knew danger was imminent, and was very reluctant to come out of his hiding place. So I had to pull him out of that box, head first, through that small hole. I felt like a midwife. …is the feeling you get when your cat walks all over your freshly mopped floor. …is the long line of paw prints you see on the floor when the sun shines into your house. …is when all this happens again next week, and every week.